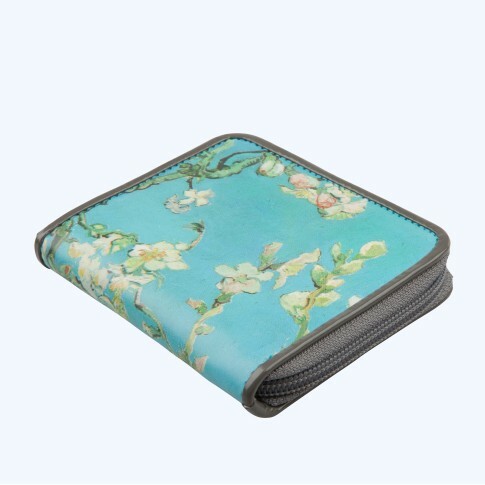 Handy zip-around wallet with a print of Van Gogh's Almond blossom. Contains a coin pouch, a pocket for notes, and several card slots. Zip-around wallet with a coin pouch.